In blogging, sometimes your post is only as good as your best photos. This is especially true for food bloggers. 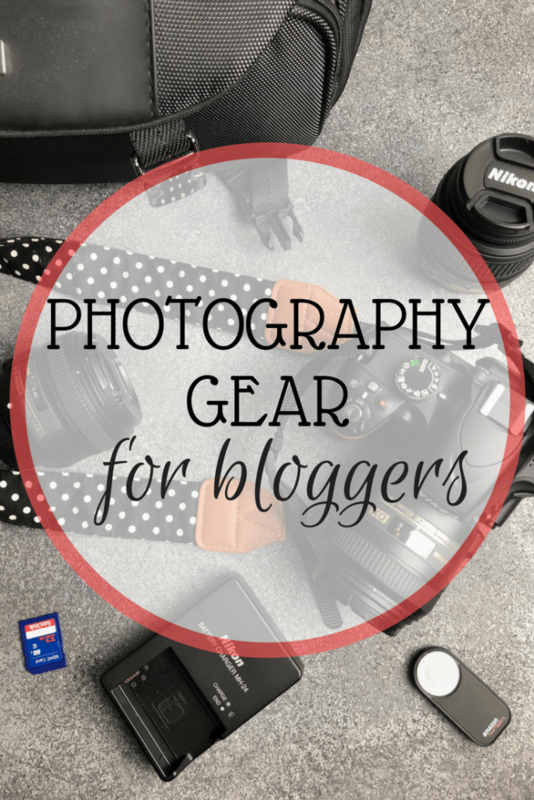 Here are some of my favorite items I use for photography and blogging. 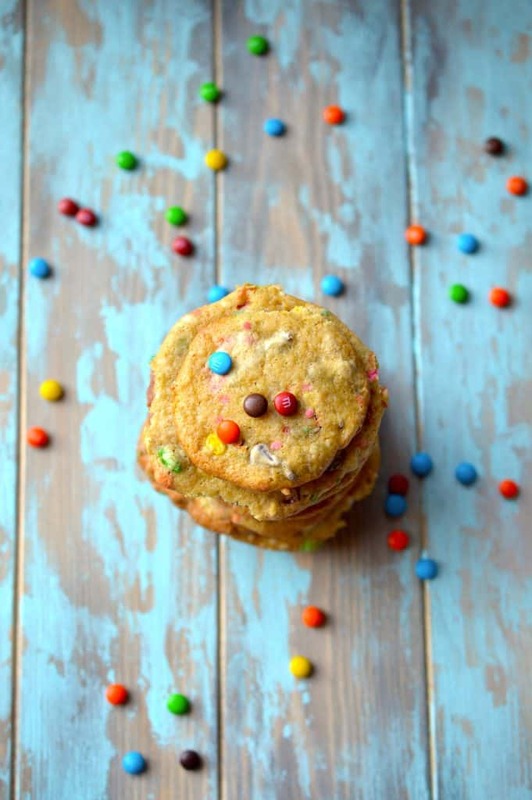 You can take my word for how soft and chewy my Rainbow M&M Cookies are, or you can see for yourself through photography. Navigating the world of photography can be a bit daunting, especially as a beginner. By no means do I consider myself a “pro” photographer, but I have learned a lot through these past few years of operating my blog. Here are a few of my trusty items that have helped me along the way. Although there are some photos still on my blog from the days where I used my iPhone 4s as my primary camera (see: Chicken Francaise, Cookie Dough Frozen yogurt), I noticed my blog got a lot more views and clicks once I upgraded to a DSLR camera. I am currently using the Nikon D3200 – a good entry level camera. I might one day upgrade to a full frame camera, but my D3200 has served me well with the help of a few new lenses. For some more information on photography for blogging, take a look at a post I wrote on blogging photography basics. This 50mm prime lens was my first addition to the kit lenses (the lenses that came with my camera when I bought it new). It was my first prime lens. A prime lens doesn’t zoom, so you have to do the zooming yourself with your body. In the most non-technical terms I could use, this lens gave me nicer photos. It has a pretty good auto focus and blurs the backgrounds nicely when you know how to use your camera settings. I often shoot in Aperture Priority mode, which takes into account the depth of field and focal length as the thing it prioritizes. It then chooses a shutter speed based on the aperature. In full disclosure, I don’t really use this tripod right now for photography as much as I do videography. I have always found tripods a bit limiting and will always choose handheld shots over a tripod assisted one if I can manage it. However, sometimes you need both of your hands in the shot and have nobody else to hold your spoon/glass/bowl. For these instances, a tripod and remote shutter (see below) come in very handy. For videography, this tripod is a lifesaver. Its middle column pops up and out and can be extended to a full 90 degree angle for those “top down, hands only” videos. It’s stable, sturdy, and feels like it’s made of very high quality metals. I love all of the options for height adjustments and often find myself on a step stool adjusting the ball head with the camera on it to get that perfect angle. I know I’m probably not even using this tripod to its full potential, but so far I am so impressed with it and you can’t beat the price on Amazon for a good quality tripod. I got this remote shutter very early on in my camera’s life. Although I don’t use it as much as I do the rest of the items listed in this post, it does come in incredibly handy when you need to either take a photo of yourself (like in some of my Smile Direct Club photos) or if you need to have zero shake on your camera for low light settings. Is this an essential gear item? Probably not. But I think you’ll like it! I own this black and white polka dot camera strap and love it. Could I have used the standard Nikon strap that comes with the camera? Of course, but I love patterns and polka dots and this one was on Amazon. There are plenty of really cute ones on Etsy around the web as well. A camera strap with personality just makes me happy. This model of camera bag came with my Nikon when I purchased it as a bundle. It’s a great bag that has a lot of pockets, zippers and dividers. Things I currently keep in it: two lenses in their cases, my camera body with one lens attached, my battery adapter, A/V cords, remote shutter, extra memory card, CDs that came with the camera, basically anything that is camera related goes into that bag. I might need to upgrade to a bigger backpack-style bag, but I don’t really travel very often with my photography gear so this bag is more than sufficient. I’m new to the artificial light game, but my husband bought me this softbox light kit for Christmas 2017. He knew I was getting frustrated during the fall/winter with not being able to photograph anything after sundown during the weekdays because that’s when I get home from work. I opened these up 4 days post appendix removal surgery (appendectomy) on Christmas day and was so excited, but still so tired from the surgery and didn’t get to play with them right away. I’ve used these mainly for videos, because it’s nice to have a steady stream of constant light instead of having to battle with the sun when trying to film videos. Check out the videos on my blog’s Facebook page for my Fudgy Mug Brownie recipe and Slow Cooker Buffalo Chicken Dip recipe. What’s your favorite photography item you can’t live without?